This oil-free, highly pigmented long wear foundation stick delivers buildable coverage with a natural-looking matte finish for ultra-versatile application: use as a foundation, for touch-ups, as a spot concealer, or to contour. For those long days, full coverage, comfortable long wear... when you need it, where you need it. The foundation's innovative extreme long-wear formula gives all skin tones a flawless, complexion-perfecting coverage. Its ultra-lightweight powder-crme texture blends smoothly for a traceless, second-skin result. Made with porous polymers that absorb excess oils, it leaves the skin looking flawless and shine-free. Plus, with ambora extract, it helps to reduce the appearance of redness. This formula is transfer-resistant and smudge-resistant, so the color-true coverage stays on all day long. Suitable for all skin type, even sensitive skin. This pigment-rich makeup stick is infinitely versatile- with ample coverage to use as a concealer, an even glide for custom contouring, and perfect portability to take with you on the go, it goes beyond your average foundation. All day color wear. All day comfort. Oil-free, fragrance-free, transfer-resistant, smudge-resistant. Non-comedogenic. Tested under dermatological conditions. For all skin types, suitable for sensitive skin. Broad Spectrum SPF 21 Sunscreen. Its 20 shades were developed based on real skin tones so that everyone can find the perfect match. This product is fragrance-free, transfer-resistant, noncomedogenic, and tested under dermatological conditions. These shades were developed based on real skin tones so that everyone can find the perfect match. Get full-coverage and comfortable, long wear for those long days. This foundation's innovative extreme long-wearing formula gives all skin tones a flawless, complexion-perfecting coverage all day. Its ultra-lightweight, powder-cream texture glides and blends on smoothly and flawlessly, covering imperfections while leaving a traceless, second-skin look. Formulated with broad spectrum SPF 21 for sun protection, it contains porous polymers that absorb excess acne-producing oils, leaving the skin looking mattified and pore- and shine-free. Transfer-resistant and smudge-resistant, it's infused with ambora extract, which helps to reduce the appearance of redness, making it suitable for all skin types, even sensitive skin. This oil-free, pigment-rich makeup stick can be used as a concealer, and it glides on easily for custom contouring or highlighting. Perfectly portable, it can be used for touch ups on the go. When using a foundation brush, lightly feather the product, starting at the center of your face or where you see the most discoloration, and blend outward. Or, apply using fingers, blending with a cross-hatch pattern. 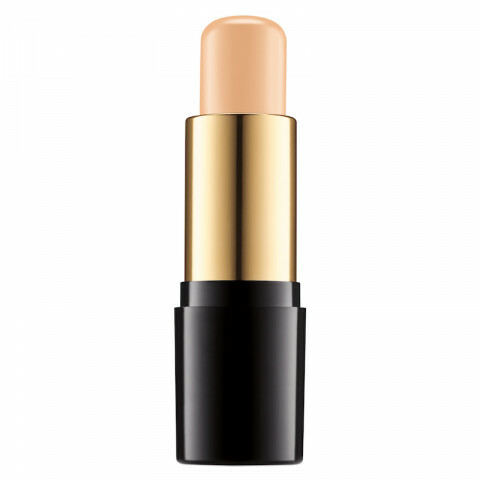 As a concealer, apply where needed to spot treat and conceal imperfections. Using your finger or a brush, apply in a stippling motion for best results. To contour, pick a shade 2-3 shades darker than your base complexion, then apply and blend to sculpt and define your features. great foundation stick to use on the go or when traveling. very easy to use, blends out well with a beautyblender and lasts literally all day without budging. amazing stick foundation! Great coverage, blendable and buildable and does not feel too heavy. There's a good variety of shade and undertone options. Can also double as a spot concealer.